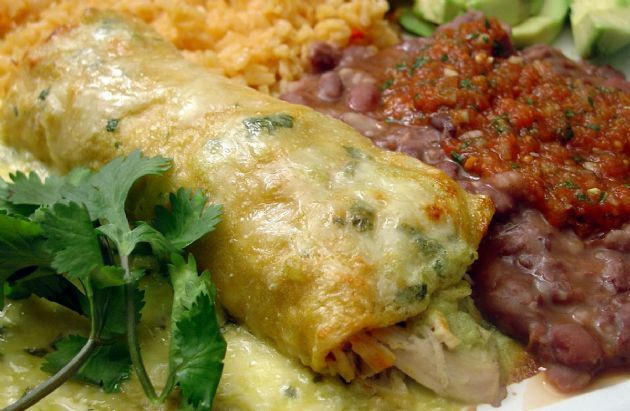 Serve up creamy, cheesy chicken enchiladas, and no one will be late to dinner! Serve up creamy, cheesy chicken enchiladas, and no one will be late to dinner! Warm the tortillas in the microwave until they are flexible. Then, fill each tortilla with about 2 tablespoons of the chicken mixture and about 1 tablespoon of cheese. Roll tortilla up and place seam side down in a 8x11 dish sprayed with cooking spray.